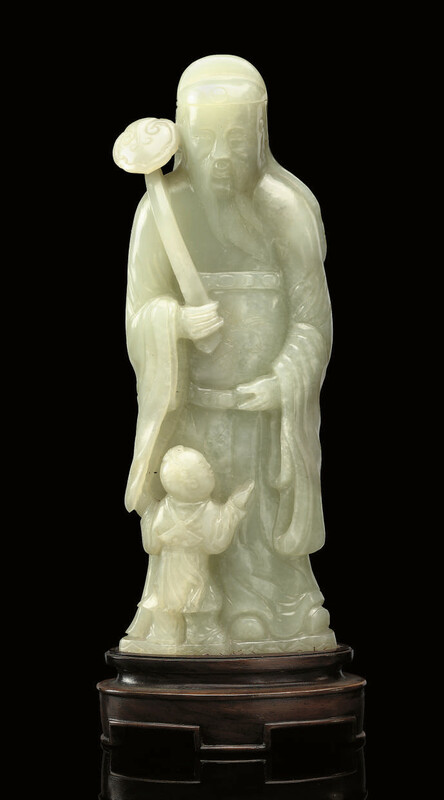 wearing a cloth hat and flowing draped robes incised with a bird between the waist bands, standing holding a ruyi-sceptre over one shoulder with a small boy before him looking to one side -- 7¼in. (18.4cm.) high, wood stand.